Hello! My name is Victoria Meyer. Welcome to Marry Me In Indy! LLC. If you are looking for someone to marry you in Indy - Indianapolis or anywhere in Indiana - I'm glad you've found me. I am a non-denominational, ordained minister open to all walks of life. 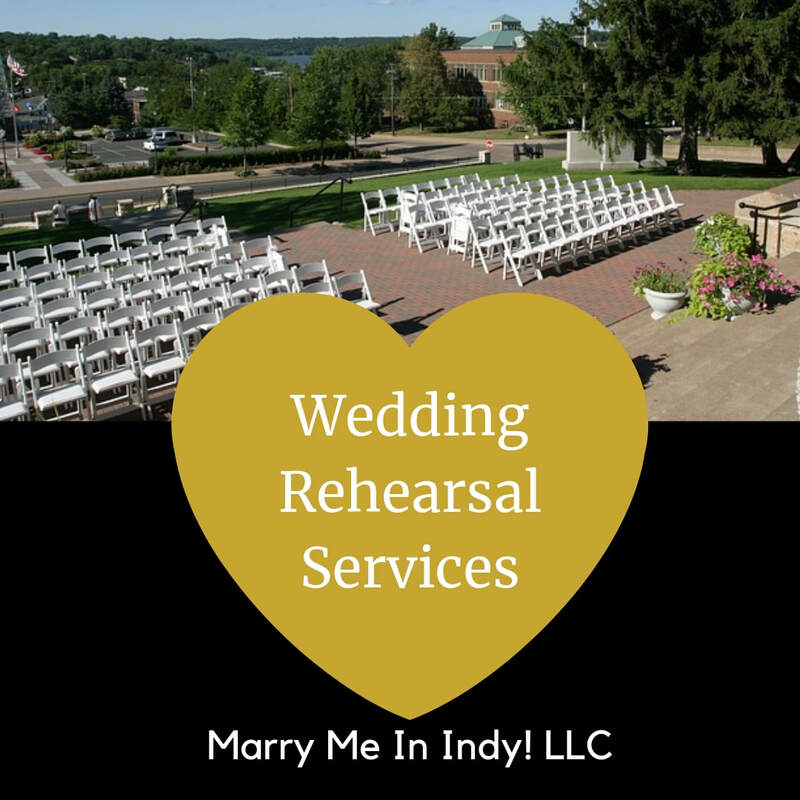 I started Marry Me In Indy with the intention of helping couples marry any way they choose. I am happy to perform any type of ceremony you would like. Simple civil ceremonies just to complete your marriage license and legally marry you, non-religious, romantic, Secular Humanist, Spiritual, Christian, Interfaith, Jewish, and hand fasting ceremonies. LGBTQ welcome. From Full Formal Wedding Ceremony packages, to simple, quick civil ceremonies, elopements, small weddings, wedding ceremony rehearsals and wedding ceremony consulting. ​​I've married over 3000 couples in the past 9 years. I have the knowledge and experience you can count on to make sure your wedding goes smoothly. ​You might need your marriage license signed today to just get legally married or you might be planning the wedding of your dreams - or both! I'm an independent wedding officiant. I answer all my own calls and emails and I'm the person that will be officiating your wedding. ​I want you to feel at ease. It's my goal to make sure the two of you and your family feel as comfortable as possible getting ready for your wedding ceremony and to make saying "I do" everything you dream of. From prewedding meetings to your rehearsal to making sure your completed marriage license is properly filed. If you have social anxiety or are on the autism spectrum, welcome! I'm the mom of two boys on the spectrum and I will do my best to accept you as you are and walk you through the wedding ceremony process to make sure you are comfortable on your wedding day. If you are a couple with family members on the spectrum I'm open to accommodating your situation in any way necessary. Anyone can read information online about getting married and filling out a marriage license. Years of experience has walked me through what can go wrong, what to avoid so it doesn't, and how to fix it if it does. Here's my article of How To Get Legally Married In Indiana. All couples in Indiana need a wedding officiant to marry them. Since most courthouses in Indiana stopped performing marriages, many wedding officiants have stepped in to take over. If you just need to get legally married, you can meet me at Starbucks in Fishers to complete your marriage license for $50. It's everything you need to just get the job done. I'm available every day from 7 am - 9 pm. I've created a video version of my website. outlining all of my services in my own voice. You may not have time to read everything, but you may have time to listen. You can view the entire playlist here. Or, if it's easier, you can go to this web page to see all the video's in one place and find the one you need. You can view my intro video below. I know you've come here looking for information and I have a LOT of it. Click on any picture below to be taken to the webpage with the information you need. For a full rundown of all my Wedding Officiant Services including prices. When you are planning a formal wedding ceremony you need the right officiant for you. It's all about the ceremony and how you express your love, relationship and story. Read my reviews and what people are saying about Marry Me In Indy! LLC Services. Everything you need to know to obtain an Indiana Marriage license. 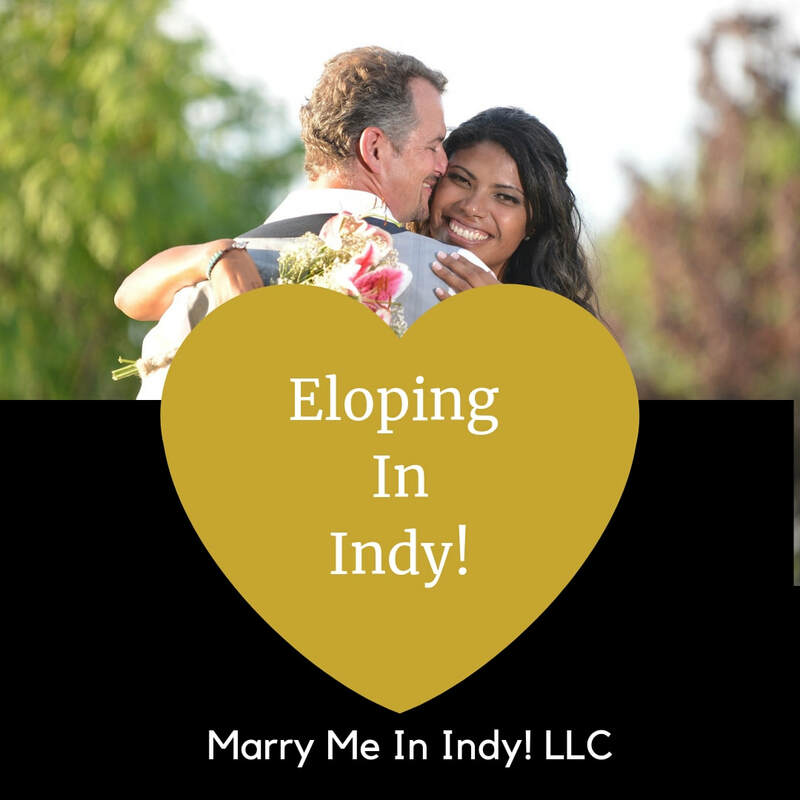 Everything you need to know about Eloping in Indy! I LOVE elopements and I travel. Wedding ceremonies come in all sizes. You can have a small wedding perfect for you. Answers to questions, the wedding ceremony of the week. and more! Choose your own wedding ceremony script and vows! Let me help you express yourself. I have one price for my wedding ceremony services. This explains what's included. Read more about me! Find the right wedding officiant for you. Even if it's not me. I have a lot of information, sometimes you need help figuring it all out. I can help. I can even help YOU officiate a wedding. When you just need to get legally married. A wedding officiant is easier than a judge! The cheapest, easiest, legal wedding officiant service in Indiana! You might need a rehearsal or you might not. Here's help deciding. ​ ​​Email any time or outside of business hours. I would love to Marry You In Indy! !